But others openly stated they hated the idea of the movie and will not see it at any cost just because it features an all-female cast, which is a shame, considering that reviews are pouring in and they are largely positive—especially, without surprise, among the female critics. 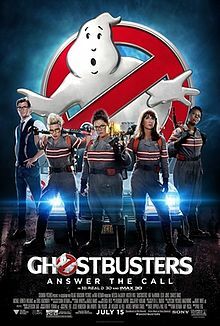 The film itself even beat both Paul Feig and Melissa McCarthy’s previous records for opening night sales. Although Rotten Tomatoes has certified it as Fresh, viewer reviews, many from male viewers, are far less positive. Studies show that female film critics are outnumbered in the media, which is no surprise, but my question is whether or not the film is simply likeable. Whether you went into it expecting it to break glass ceilings or ruin your childhood, did you actually enjoy the movie? Was it funny? Was it worth the time you spent watching it? If so, isn’t that the reason we go to movies anyway? And if you refuse to go, you’re going to refuse to attend any other Batman, Spider-man, etc. reboot too… right? Because if your real issue is about remakes, then why see any remake? I haven’t seen the movie myself just yet, but I look forward to catching it with my family next week. While I will agree that the original trailer was not very exciting, I wouldn’t say that it was a bomb, either, and my child really enjoyed it. Go check out the character sneak peeks if you’re still on the fence about going—those are so much funnier and richer. I hear McKinnon is particularly a force to be reckoned with in the movie and I can’t wait to see her performance. Neither can my daughter, who painted a Ghostbusters symbol on her wall just last summer.